"No one will be detained, there will be no officers of the Anti-Corruption Bureau in custody." Prosecutor-General Yuriy Lutsenko during a Thursday meeting with the anti-corruption prosecutor Nazar Kholodnitsky and the director of the National Anti-Corruption Bureau, Artem Sytnyk, promised that NABU will not be detained. 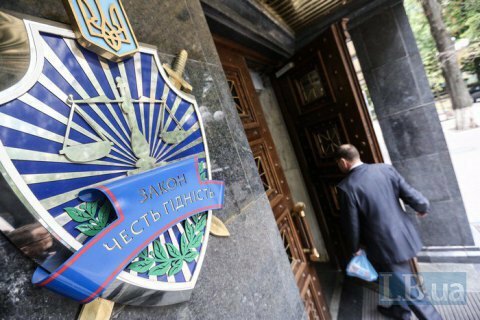 Sytnyk told journalists after the meeting that PGO probed at the request of the first deputy head of the State Migration Service the alleged provocation of a bribe a NABU agent and did no know about NABU's special operation. Sytnyk said that the SMS investigation was totally thwarted after the arrest of the bureau's undercover agent by the SBU.